TenneT is responsible, as transmission system operator in the corresponding control area, for the construction, operation and maintenance of its grid. 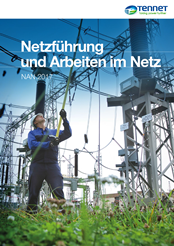 The NAN regulates the duties of the power distribution control centres and operating units for high-voltage plants, including the offshore sector. It contains, in particular, agreements for activities carried out on or near high-voltage installations. The NAN applies to grid management and the operation of all equipment owned by TenneT, and also for the management of the grid and the operation of external facilities of all voltage levels, insofar as no other agreements have been made. Valid until 10 October 2017 . You will receive the password required to open the document from your customer representative (if you are a grid customer) or from the responsible purchaser (if you are a supplier) German.